Thank you for bringing this to our attention. I have completed the survey. Seriously, you should contact Stephen King. he is a great admirer of Arthur Machen and has lauded him in his short story collection 'Just After Sunset' and more recently, in his new novel 'Revival'. I,ve commented. Anything else I can do get in touch. I am writing to advise that the Arthur Machen collection should be preserved at a single site. The Machen collection is of international significance, given Machen's global importance to modern literary and popular fiction. Machen's influence on US writer H.P. Lovecraft alone has borne fruit in a multi-billion dollar industry based upon 20th and 21st century literature, particularly in science fiction, fantasy and horror genres. I write from Canberra in Australia, perhaps the furthest one can be from Newport and remain on the same planet. However, Arthur Machen works are part of our shared literary history. Machen explored themes of alienation, disconnection and dissociation that bore fruit in the postcolonial literature of the former British colonies and the United States. The further uptake of these genres in film, radio, television, graphic novel and online media makes preservation of the Machen collection essential for future literary analysis and cultural history. Breaking up the collection, or worse the sale of the collection, would place it beyond the reach of scholars, writers and the general public. My thanks in advance for considering my proposal. Thank you, Michael, it's good to have support from Australia too. This all helps to show that Machen has international stature. My name is Thomas Miller and I live in Southern California USA. The current Newport public library houses many memorable artifacts of Arthur Machen. Arthur Machen was a giant in the field of fantasy fiction and his writings have been an inspiration to me for 40 years. In fact, I traveled to Wales five years ago specifically to visit the places that were important to Machen. He has influenced several generations of up-and-coming writers worldwide--authors such as Stephen King, Brian Lumley, Ramsey Campbell, H.P. Lovecraft, and Jorge Luis Borges. His stature is roughly equivalent to Edgar Allan Poe in America. At all costs, The Arthur Machen Collection must be preserved. 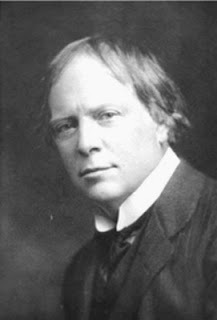 The world would be a much poorer and sadder place if Arthur Machen's memory was allowed to fade away, and if those responsible for preserving the artifacts of his life no longer have the verve to continue to do so. Machen is a towering literary figure of international importance. The Arthur Machen Collection must, please, be preserved. I grew up in Newport and the council has *always* hated the heritage and art of the town. This is the same place that pulled down a castle to build a road. That library is a vital part of the cultural landscape of Newport (the same building also houses the museum and the art gallery) and without them Newport will be little more than chain discount retailers. The library/museum/art gallery building in the centre of Newport is the cultural hub of the entire city. It is a central point where people from all across the city can access the rich cultural heritage of the city. The central library also houses the Arthur Machen collection. Arthur Machen was is one of the most celebrated writers of supernatural tales, as lauded as the great M.R. James, and has had an immense impact on global literature, art, and cinema. Having the Machen collection at the heart of Newport places the city firmly on the world literary stage. It is vital that Newport preserves and promotes its culture and heritage and having a central hub is essential for the city to do so. Please, please, please keep the library open. The Machen collection is an internationally important resource and so I'm sure that the council will be able to find funding to make up for the supposed savings. If the council is willing that is.